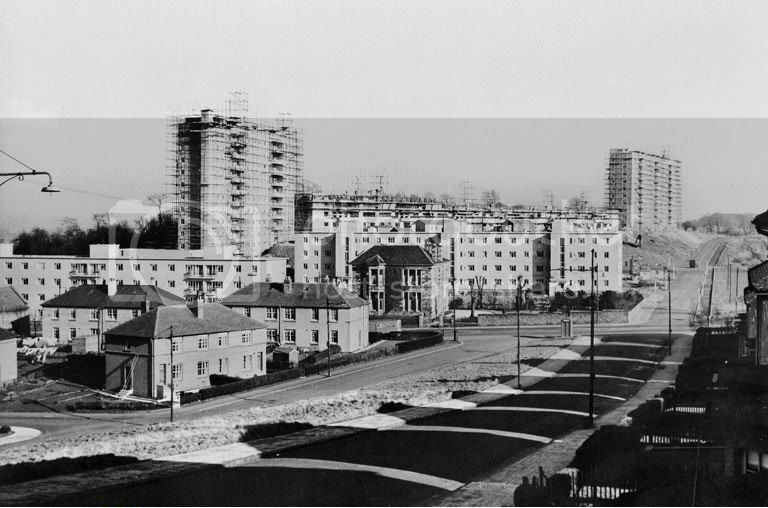 Moss Heights was the first 'high-rise' to be built in Glasgow, heres a pic of it u/c in February 1953. 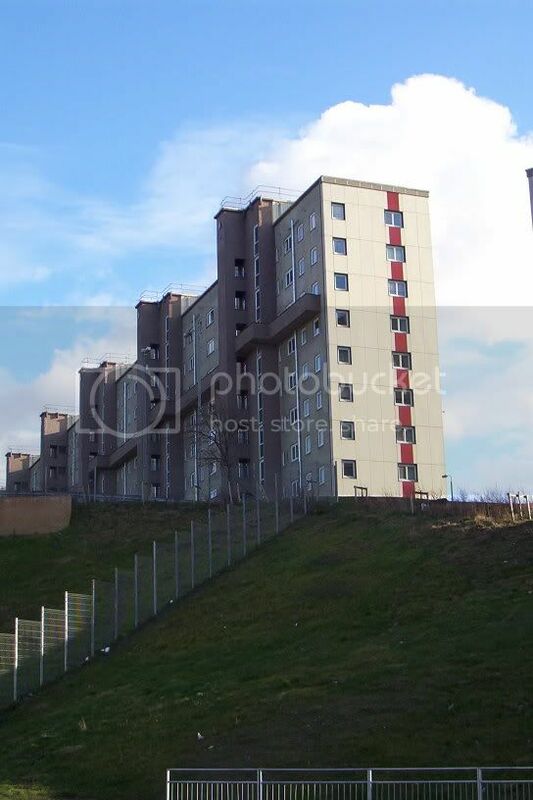 The flats on Berryknowes Road (you know the ones with the green neon stips on them?) 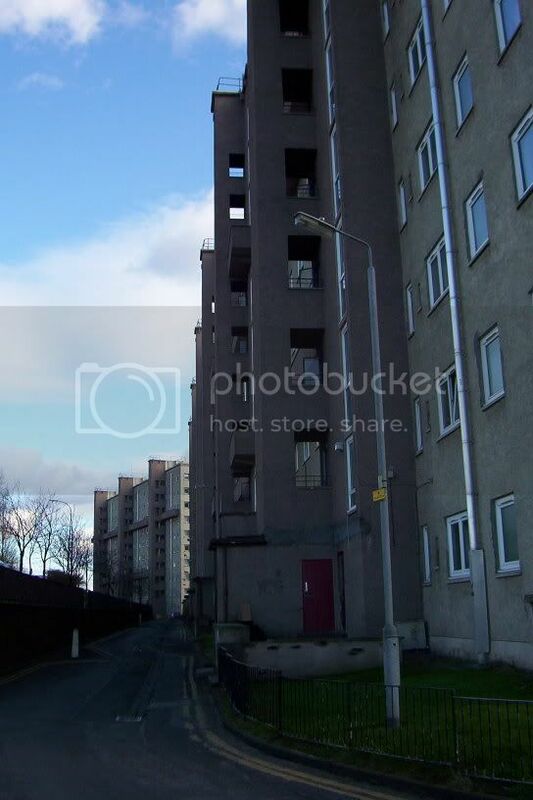 were the last to be built in Glasgow. Howzat for a bombeshell? Or do you mean "Berryknowes Rd.? 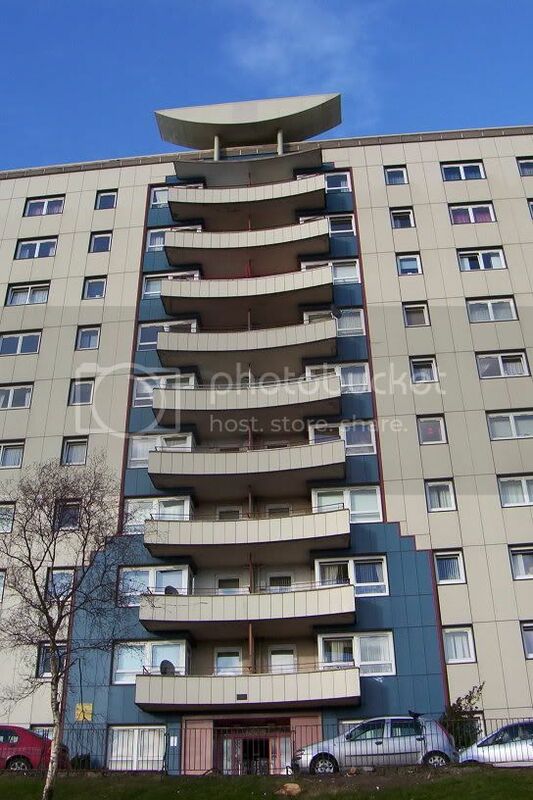 Something I remember about the Moss Heights flats, is that when the BBC produced a play,late 80s I think, they used the flats as a stand-in for workers apartments in Moscow because the Moss Height ones looked so Stalanist and Brutalist (quite good judgement by the BBC in my opinion). The play was about the British spy/traitor Guy Burgess. He was a top British civil servant who also moonlighted for USSR's KGB - ironic that it was upper class toffs who did most of the betraying of Britain in the Cold War. upper class toffs who did most of the betraying of Britain in the Cold War. I've always admired those flats. I knew they were older but hadn't appreciated they were the first. A cut above in imo. I grew up looking at the Moss Heights in the distance. I never have really appreciated their architetcure. I used to think they were depressing before they were refurbished. 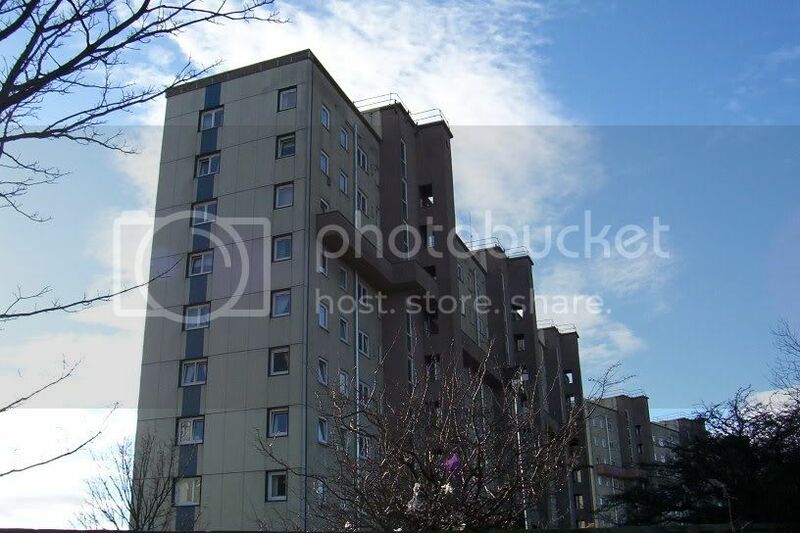 They are one of the few tower block schemes that actually seemed to have had some long term benefit from the refurbishment that has been undertaken. 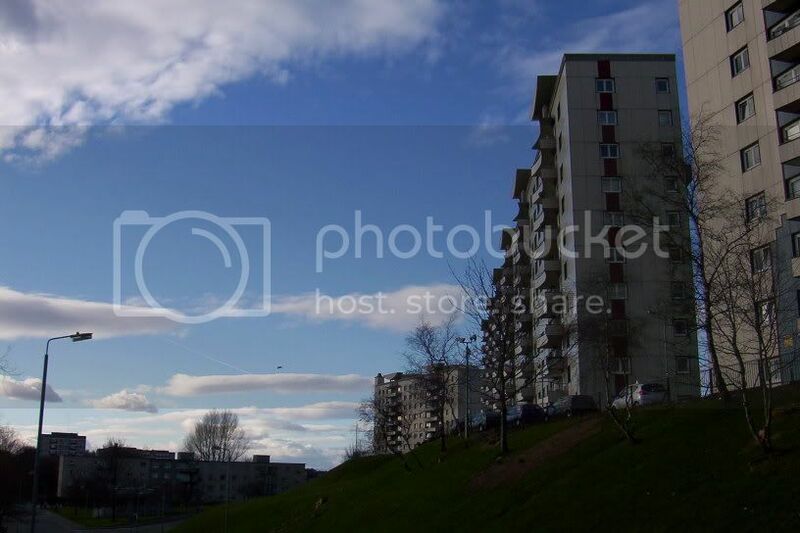 escotregen wrote: Something I remember about the Moss Heights flats, is that when the BBC produced a play,late 80s I think, they used the flats as a stand-in for workers apartments in Moscow because the Moss Height ones looked so Stalanist and Brutalist (quite good judgement by the BBC in my opinion). 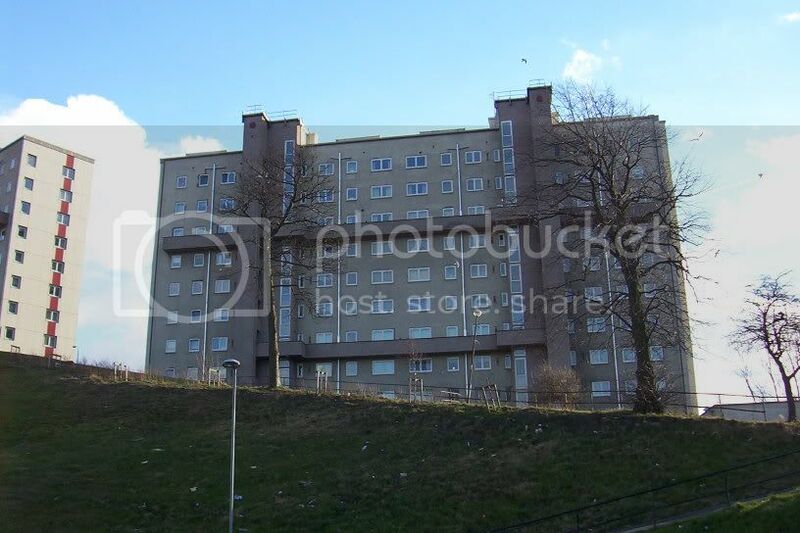 I remember watching this play - it was called An Englishman Abroad and I remember being impressed by how well chosen Moss Heights was as a location [this was before the blocks were refurbished of course]. Alan Bates played the part of Guy Burgess. A very good play actually, irrespective of its Glasgow connection. Yes, Socerroo, they are quite impressive from the front, but pretty grim from the rear. You were right CB (as per) The neon strips are Green, the Blue lights are in the glass rooftop. I had a wee rueful smile to myself when I passed them on the train tonight. Am i the only person who preferred them before they were done up ?. 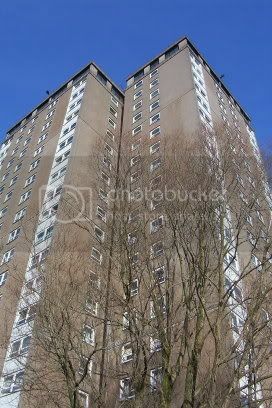 I thought they looked wonderful, totally schizophrenic, a vertical set of tenements that did not realise that they were actually proto high rise. I nearly done my dissertation on them. I remember the incredible 50's charm they had. 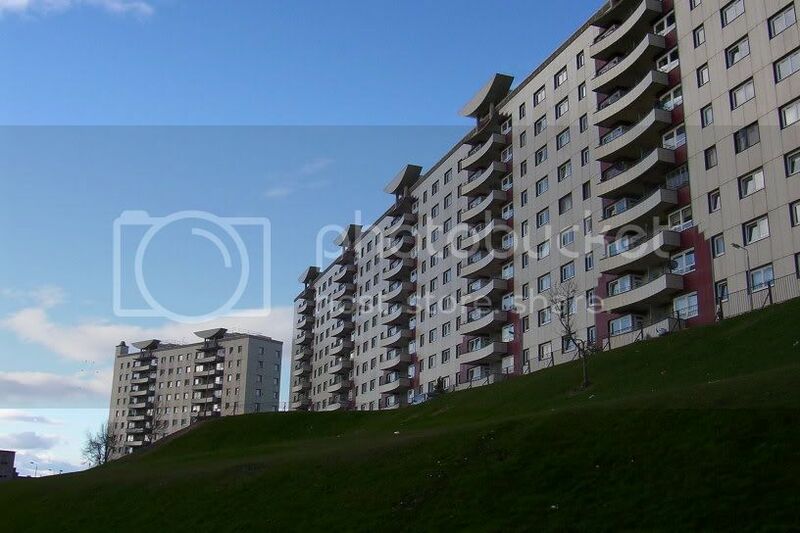 A little on the "new brutalist" side admittedly but what else could you have on that hillside. 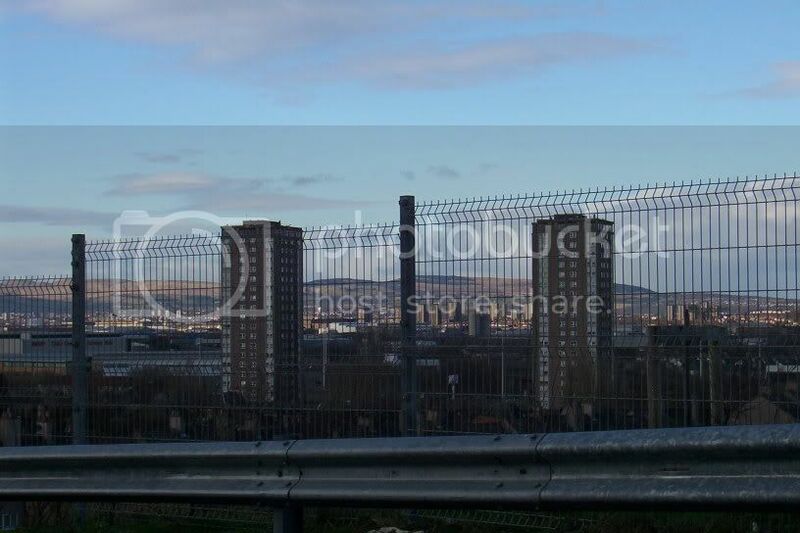 Three monoliths viewed both from the M8 and Paisley Road West. Although i do not like the refurbishment job i am glad they have survived. 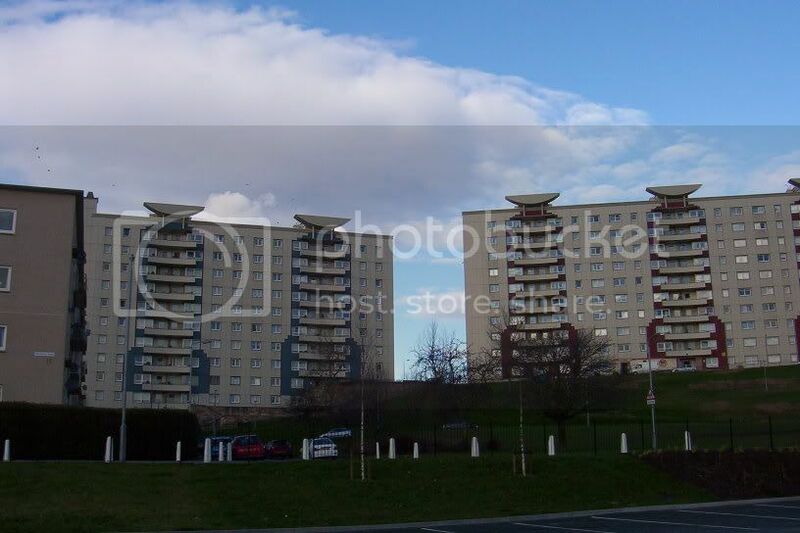 Give it another 30 years or so(if they survive)and they will be viewed in the same light as similar 30's social housing in London. They make a brilliant post "Festival of Britain" optomistic statement. I would have lived there given half the chance. 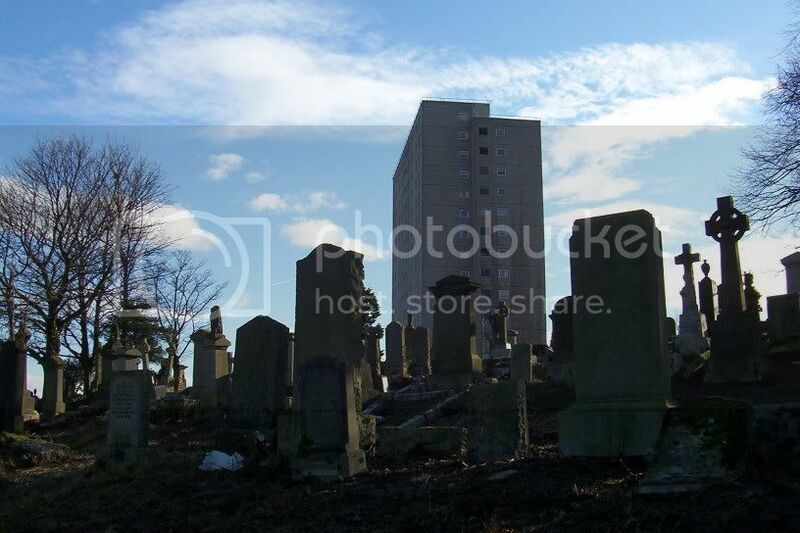 Whenever i am showing someone round Glasgow i take them to see them. For me they are as much a Glasgow icon as the Luma and the three crossing flyovers lit up at night on the eastern approach to Glasgow on the M8. johnnyanglia wrote: but what else could you have on that hillside. Three crosses, two criminals & Eric? Johnny, I agree with a lot of what you are saying, but driving past the rear of the Heights, squalor is the word that springs to mind. Have you been up close to the rear? (Oooh err, Missus) It is nothing less than awful. johnnyanglia wrote: Am i the only person who preferred them before they were done up ?. No you're not. I'm actually of the same opinion. 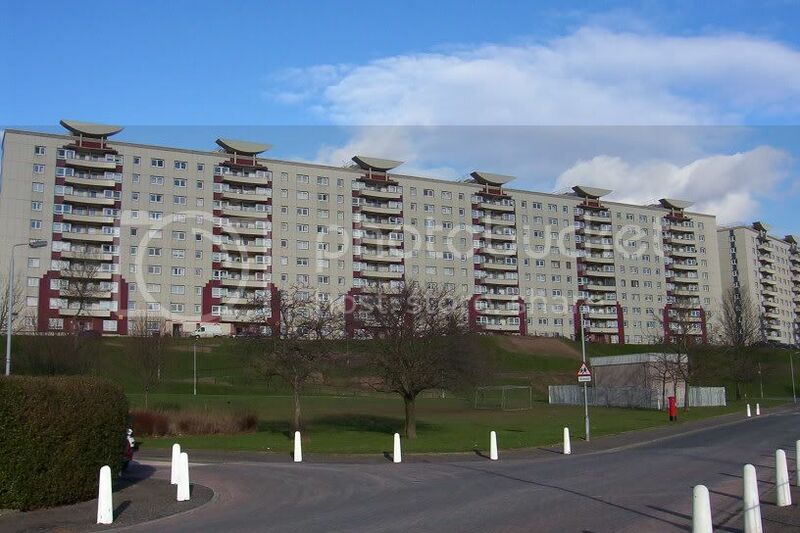 I'm sure they could have been refurbished perfectly well without all the extra cladding and unnecessary ornamentation. 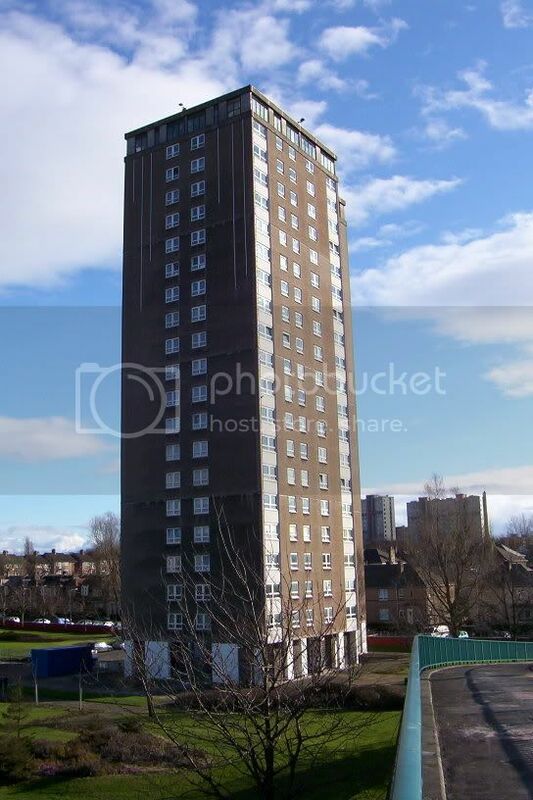 As an example of how it could have been done I would suggest looking at Crathie Court in Partick. Viceroy, personally i don't think they are in the same class as Crathie Court. 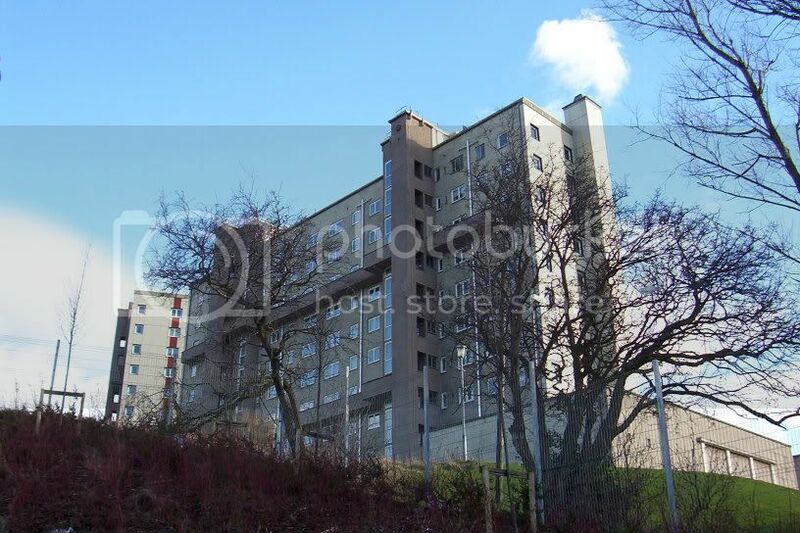 Crathie Court was built in a relatively sheltered spot and is well maintained. Crathie Court i would say although modernist has a lot of Art Deco leanings. Moss Heights is a bit more brutal. 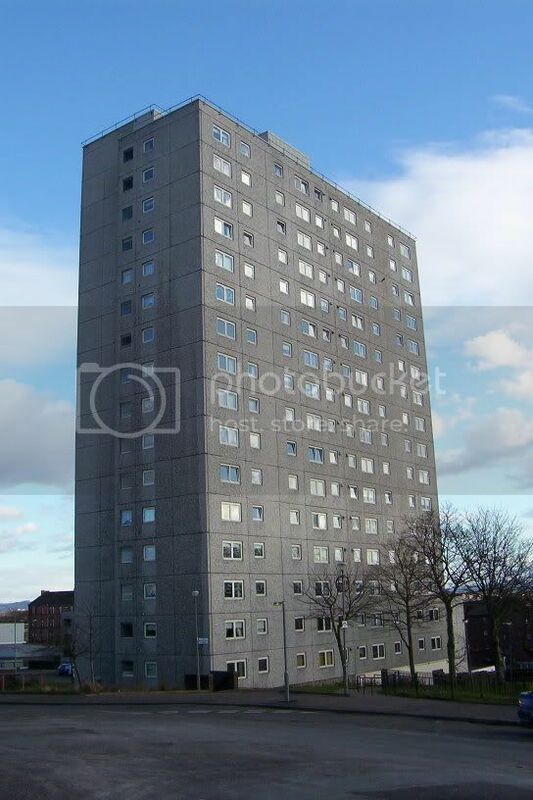 The Moss Heights were damp ridden, it's okay for us to say we don't like the look of them now, but the refurb internally and in this case externally did make a big difference to a lot of peoples lives. I knew quite a few folk who stayed in them and they were well happy with the results. Not too sure about the colour schemes or ornamentation myself all the same. But prior to the refurb they were pretty bleak. 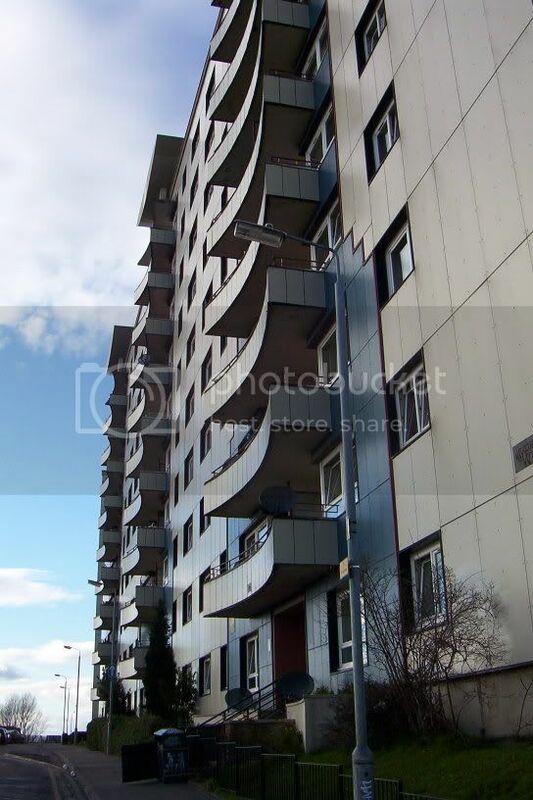 I agree Crathie Court is a bit of an Art Deco throwback in some ways, Socceroo, with the balconies jutting out and the round porthole type windows. 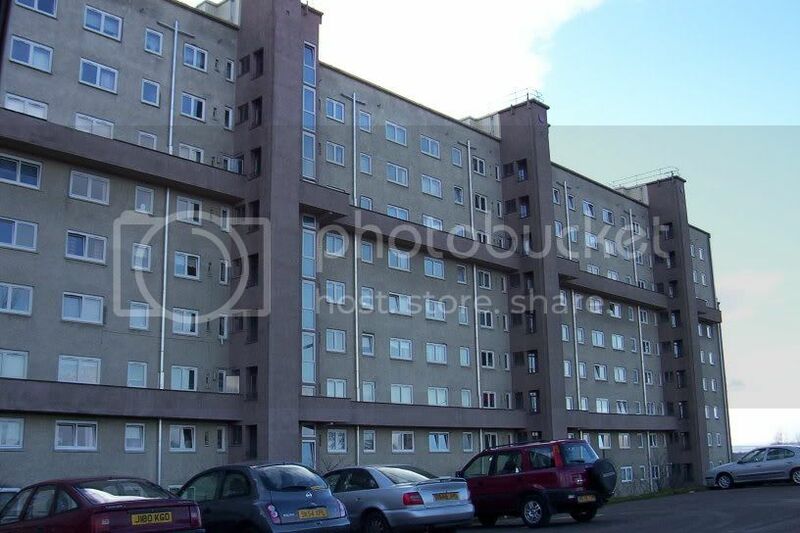 Quite a lot of housing built by the Corporation in the early nineteen-fifties had such features although probably none of it was in the same class as Crathie Court. I suppose Moss Heights could never have been anything but overwhelming considering its location. Of course I would never have suggested that refurbishment wasn't necessary, I was just stating a personal view. It's what the people who live there think that really counts. But I still think that externally it could have been done in such a way as to enhance rather than devalue the original design. Agreed the blocks were pretty stark but I rather like that sort of thing so I suppose I'm prejudiced in that respect. I agree with Viceroy. I really liked the slight bleakness of Moss Heights. 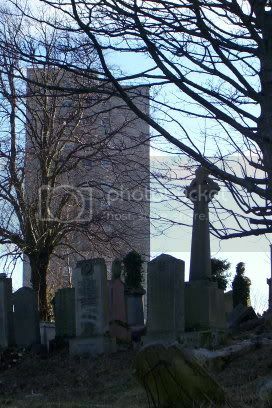 As i said in my previous post they are essentially over grown vertical tenements. They are not in the same league as Crathie Court(which is beautiful) i think the West End location got a better quality building built. I am not against refurbishment(in fact when it comes to making homes more comfortable and environmentally friendly i positively encourage it). I feel however the refurbishment should have allowed the external character to remain unaltered.